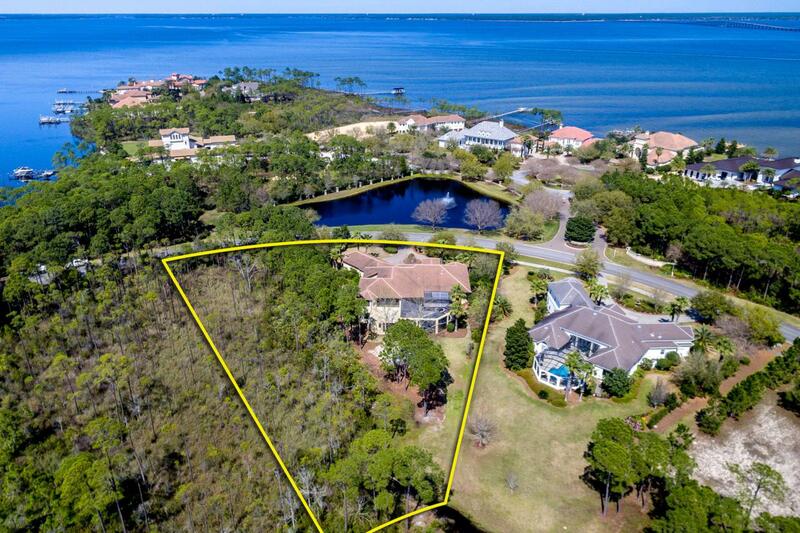 An amazing residence situated on an outstanding lot in Destin's desirable Kelly Plantation! The home's exceptional setting on Kelly Plantation Drive across from the exclusive Waterford neighborhood provides several advantages: it overlooks the attractive Waterford fountain/pond, is easy for guests to locate, offers excellent curb appeal, and is just a short drive from the community's east guarded entry. 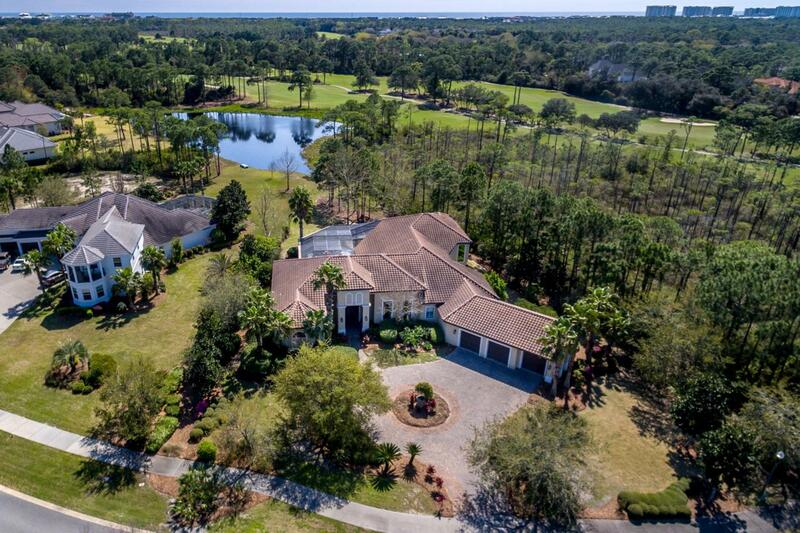 The lot also adjoins a lovely lake and natural preserve land, providing privacy, beauty, and the sense of being surrounded by nature!This is a home of generous proportions--in terms of indoor and outdoor living space as well as in its architectural design, including high ceilings, dramatic columns, double tray ceilings, oversized windows and doors, and more! The dramatic foyer andlovely formal living area with its fireplace and beveled glass make a glamorous setting for entertaining, as does the formal dining room. Meanwhile, a huge family room/den/media room with a wetbar (and locking liquor cabinets!) offers abundant space for casual gatherings. The incredible kitchen features a huge center island, large breakfast bar, stunning black granite counters, a window seat, breakfast nook, stainless appliances including a Dacor double oven and 6-burner cooktop, dual sinks and a large pantry. Designed for the convenience of busy people, the home offers a computer/desk area for staying organized and spacious laundry room just off the kitchen. All the bedrooms have ensuite baths and walk-in closets, and direct access to the screened lanai (the master), a side patio (the 2 additional downstairs suites), or the fully screened second-floor deck (the 2 upstairs suites), so your family/guests can relax separately as well as together. The incredible master wing also includes a huge bath with soaking tub, walk-through shower, dual vanities, and abundant closet space. This home is about outdoor living as well as indoor: the fantastic screened lanai includes a large pool and hot tub, an outdoor living "room," lounging areas both under roof and under the sun, a dining area, and a full summer kitchen with refrigerator, icemaker, dishwasher, and an amazing assortment of grilling options! One of the bays of the 3-car garage has been converted into a heated/cooled "man cave," or it could be a fabulous home gym. 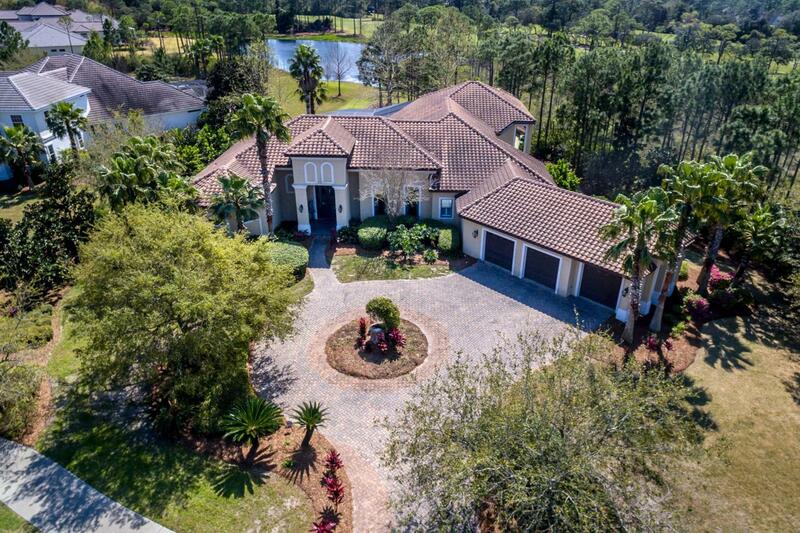 Truly this home offers a myriad of possibilities for many lifestyles! 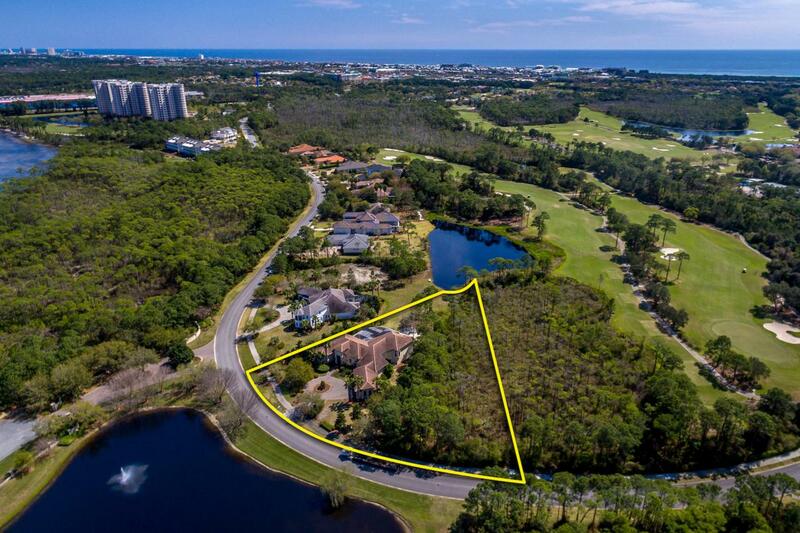 And its exceptional location in Kelly Plantation means easy access to golf, tennis, fitness, stables and much more--all within 5 minutes of Destin's fabulous white sand beaches and the great dining, shopping, and entertainment of the Emerald Coast!